Basics-Crack open a cold one! 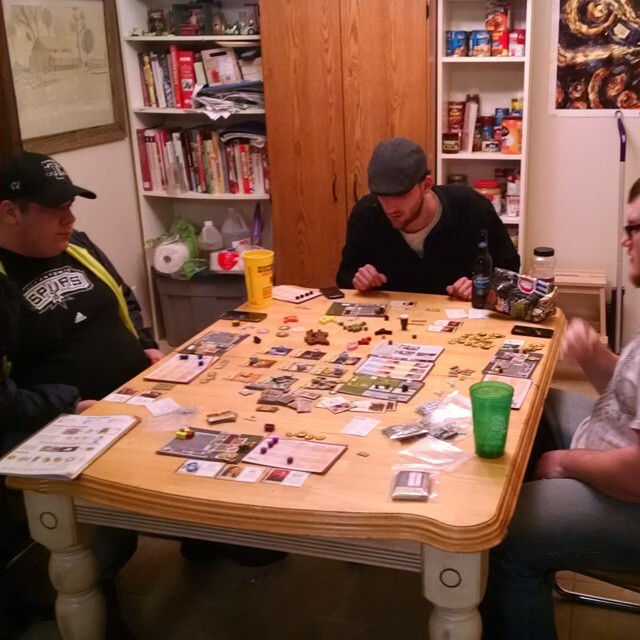 In Brew Crafters, players take the role of different microbrewers trying to be the local best. While this is a Eurogame through and through, it’s actually not that complicated. Each turn is divided into two basic rounds. Round one is action selection at a market. Here each player takes turns placing two meeples on different market spaces that get you money, the first player marker, specialist for your brewery, hops, malt, yeast, and special ingredients. Next, players enter the brewery and place their brewery worker meeples on either brew beer, expand, or research with multiple workers from multiple players being able to take the same action. To brew beer you have to spend the ingredients for each type of brew, and then the brew enters the pipeline. The initial pipeline brews one beer at a time, but it takes two extra brew actions to be able to sell that beer. When you start to brew a beer, you get victory points for the brew. Also, if you are the first player to brew a beer, you also score extra points. The expand action gets extra locations for your brewery from a garden that makes fruit or hops to a tasting room that brews beers in two rounds instead of three. The research option lets you move up tech tracks that start by giving you extra resources, provides a resource every four turns in winter, increases productivity, and ends with a way to story extra victory points at the end of the game. Each turn is one season starting with spring moving all the way to winter. At the end of each year’s winter, each player has to pay for their brewery workers, specialist, and add-ons to their brewery. If you can’t pay for your additions, you get money from the bank, but take a small victory point penalty. At the end of three years, the player with the most victory points wins.